1. Would you like to see the British Panther "Cuckoo" added to War Thunder? 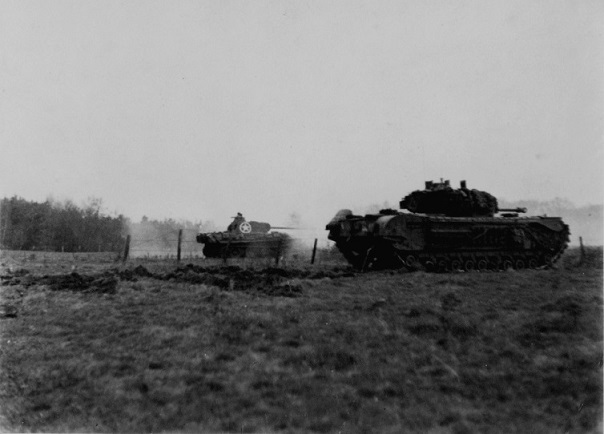 After the failure of the Arnhem Offensive, the British 6th Tank Brigade was engaged in heavy fighting with German forces, trying to gain control of the Dutch village named Overloon. While fighting, tankers of the 4th Armored Battalion entered a large barn only to find a fully operational Panther of the Panzer-Abteiling 2, Panzer Brigade 107. 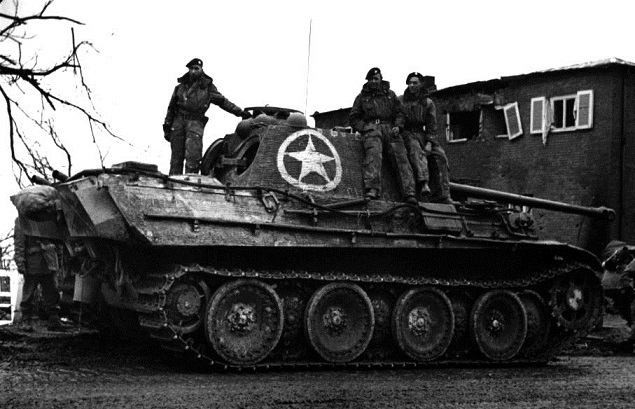 The 4th Armored Battalion captured the early model Panzer V Ausf. G and after some modifications to its appearance (specifically the addition of an Allied insignia), put it into service. The tank was nicknamed "Cuckoo" and first saw service helping the artillery barrage on the Gejsteren castle, north of Venlo, on the Meuse River. After an infantry attack on the castle failed, the decision was made to bombard the castle with artillery. During the artillery bombardment on the castle, they found Cuckoo to be a worthy newcomer with its ability to shoot 75mm shells through selected windows with extreme accuracy. After the assault on the castle, during operation "Blackcock", now south of Venlo. Cuckoo was deployed again, now joining in on an attack on the German town named Waldenrath. Cuckoo was noted as performed very well again with its mobility being especially noticeable compared to the 4th Armored Battalions Churchill tanks. A historian later wrote; "The road conditions were abominable all day, whereas the Churchill's and the Crocodiles, with no ice bars, slid into ditches at every possible opportunity, "Cuckoo" the Panther, eight tons heavier, trundled merrily along with no difficulty at all." With the upcoming release of British tanks, Cuckoo would likely be an interesting Tier 4 premium with an astonishing history. The Battle Rating would likely be the same or slightly lower than the existing Panther Ausf. 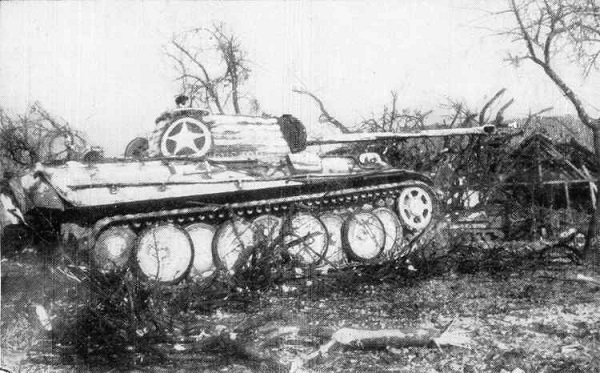 G considering it was an early model of the Ausf. G whereas the one currently in-game for Germany is a late model. The differences being that the early model still had the "shot trap" found in all Panthers leading up to the late model Ausf. G.
"The road conditions were abominable all day, whereas the Churchill's and the Crocodiles, with no ice bars, slid into ditches at every possible opportunity, "Cuckoo" the Panther, eight tons heavier, trundled merrily along with no difficulty at all." it has a cute name and a good story, but some ppl seem to really dislike capture prem "copies"
Yeah add it, give it the same BR as the Ausf. A since it's an early production Ausf. G.
I like it, Great premium. Historical anche documented and since there are other cases in the game this should be in too. I support any captured vehicle that was used in combat. +1 to you. Thanks for all the support so far guys. :salute: I was actually just really surprised this tank hadn't been suggested before. All the posts seem to be positive so far yet the poll seems to show mixed opinions on this. I will support this if it, as well as all captured vehicles, have the distinct historical friendly markings on as default. If captured planes get stand out skins, then tanks should as well. I think it's too rare, and its service too short to really be applicable. It is interesting, but I think we'd see it too many times. Every battle would have one or two, and it'll throw off the historical immersion (I of course refer to sim and events). And what of the Tiger P? All they have to do is make it extravagantly expensive, like the Tiger P or early Super Pershing, and that will control the numbers. Don't make the same mistakes as with planes! The difference between the two, and the reason why it's so BS with planes is because most of the "captured" aircraft in game were solely used for testing purposes, mostly those on the allied side. Hell this is obvious because of the bright, stupid skins most of them have. Tanks however often were used in combat mode when captured. That's why I feel no problem in supporting this, as well as a captured T-34, or captured panthers for the Russians.